Under General Anaesthesia where admission in hospital is required. 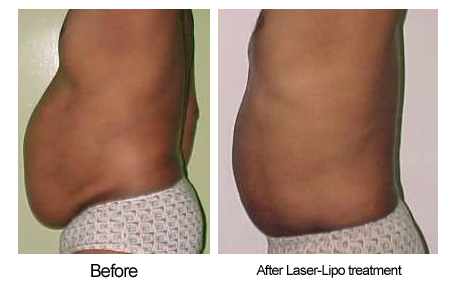 Tumescent Liposuction which is done totally under 'tumescent local anaesthesia'. It is done as an OPD procedure. Tumescent Liposuction is very cost-effective because of elimination of general anesthesia and overnight admission in the hospital/clinic. Patients are awake, well oriented, conversing throughout the procedure and are absolutely free from pain in the postoperative period. Tumescent Technique eliminates the need for general anesthesia and therefore the possible side-effects and complications from GA are eliminated. Cryolipolysis refers to the external application of controlled cooling to reduce limited fat bulges. Healthy eating habits combined with regular exercise also help people lose weight. 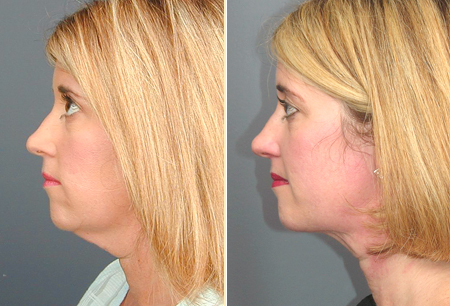 This natural process, however, takes more time and determination than liposuction. Weight loss via exercise and healthy eating carries little risk compared to liposuction. Maintaining a healthy lifestyle is both important and vital to one's well-being regardless of if he or she chooses to have a liposuction procedure done. Liposuction does not significantly improve the metabolic abnormalities associated with obesity and does not achieve the general health benefits (such as increased cardiovascular health) associated with natural weight loss. Tumescent liposuction is more effective, safer, less painful and has a quicker recovery time than traditional liposuction.